You can change both the Selling Site Banner as well as the Text that is layered on top of the banner. 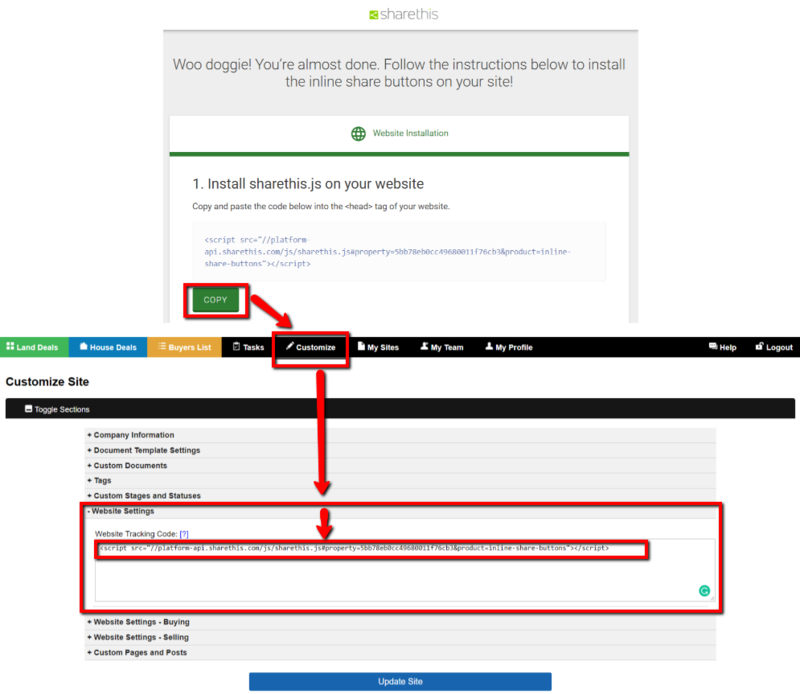 Under the ‘Selling Site Banner Text‘ field enter in the text that you would like to layer on top of the banner image. Under the ‘Upload Selling Site Banner‘ section you can click the ‘Choose File‘ option to upload a custom image from your computer to use as the banner image. Once you have uploaded the new image, use the ‘Crop Your Photo‘ tool to click and drag an area around your image then click the blue ‘Confirm‘ button at the bottom of the screen to crop it to the correct size. Don’t forget to click the blue ‘Update Site‘ button to save your changes. You can customize both the Banner background images as well as the Banner Text that display on your Buying Site. Under the ‘Buying Site Banner Text‘ field you can change the text that appears on your default Homepage, Contact Us Page as well as the Custom Pages that you create for your Buying Site. Under the ‘Upload Buying Site Banner‘ option you can upload a new background image that will display in the banner section of your Homepage, Contact Us Page, as well as the Custom Pages that you create for your Buying Site. Under the ‘Buying Site (Sell Your Land) Banner Text ‘ field you can change the text that appears on your default ‘Sell Your Land’ page of your Buying Site. 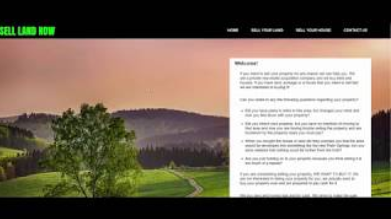 default ‘Sell Your Land‘ page of your Buying Site. 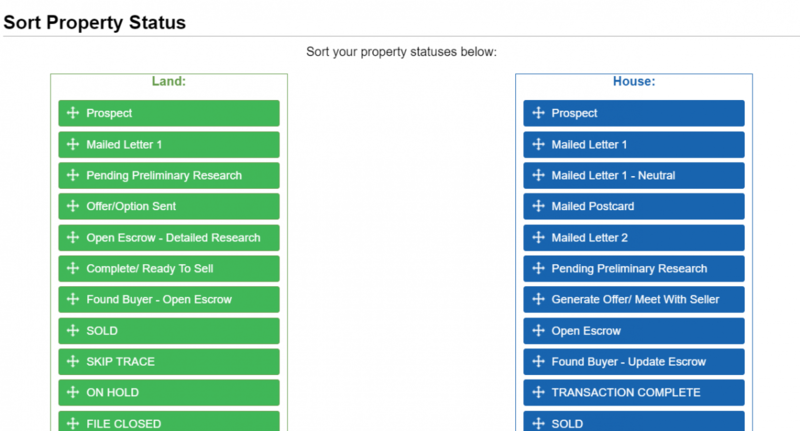 Under the ‘Buying Site (Sell Your House) Banner Text‘ field you can change the text that appears on your default ‘Sell Your Land’ page of your Buying Site. Once you have made your adjustments, remember to click the blue ‘Update Site‘ button at the bottom of the ‘Customize‘ page to save your changes. We don’t recommend that you change any of our built-in document templates as these have been tested and tweaked over thousands of successful deals. For this reason, we only give you the option to create your own custom documents instead of editing our built-in templates. 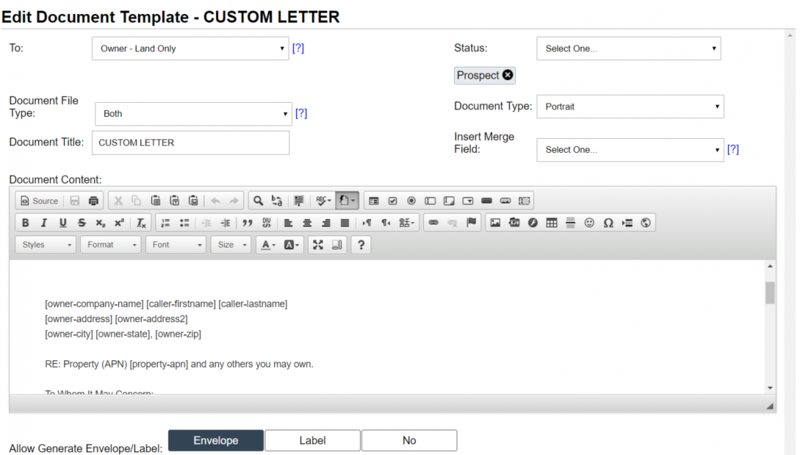 However, if you would like to test out variations of the letter for yourself, in this article we will discuss how you can create a new Custom Document that uses our content as a base and then add your own customizations to that. You can customize both the header and footer background colors as well as the text colors.